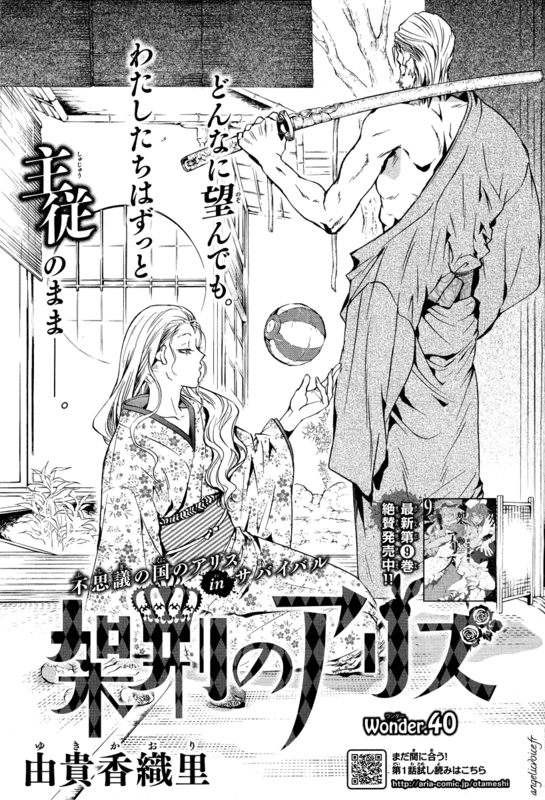 Yuki Kaori Shrine - The fansite ♥ - ARIA stopped! 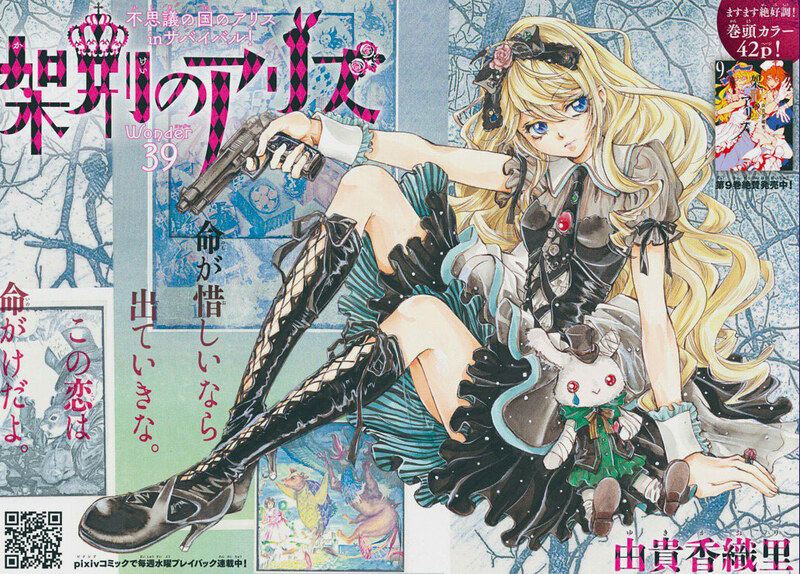 Important news: Alice in Murderland moved to another magazine from Kodansha and also to a new publication system. 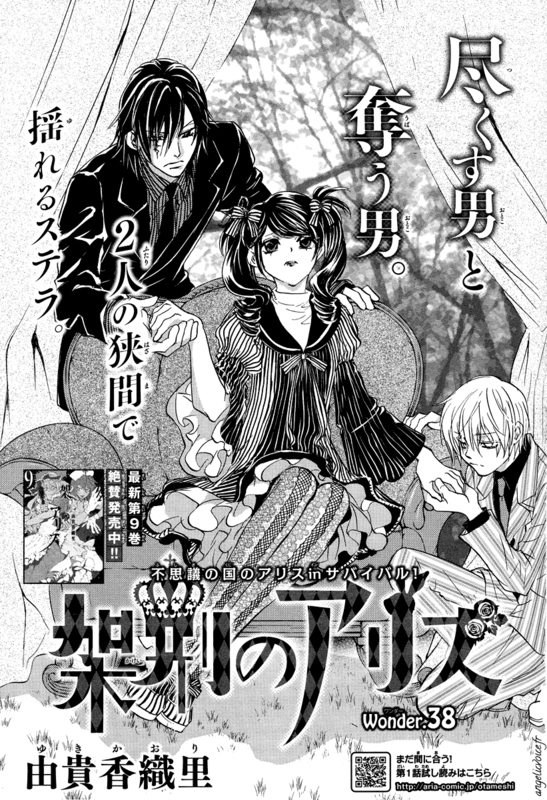 The series is available since May through an app made by Kodansha and Pixiv: Palcy (not available in France). 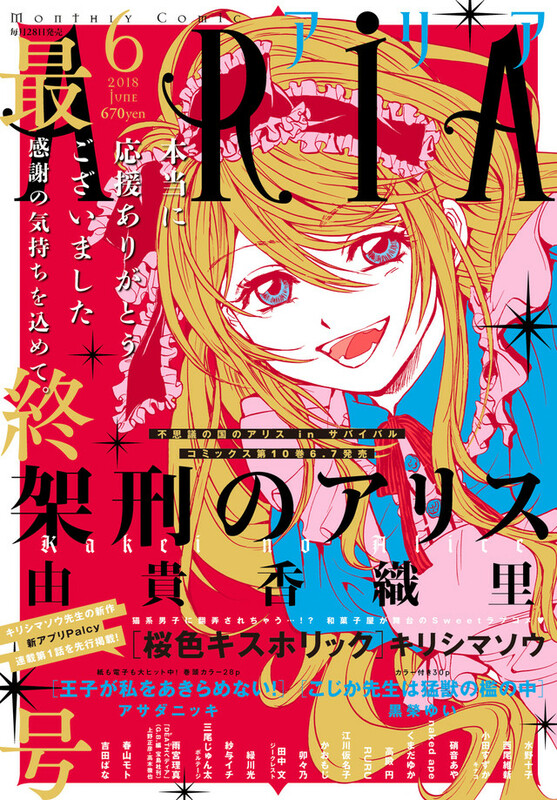 This platform is the reason why Aria stopped, the last issue of Aria being the #6 published in April (see red cover below). 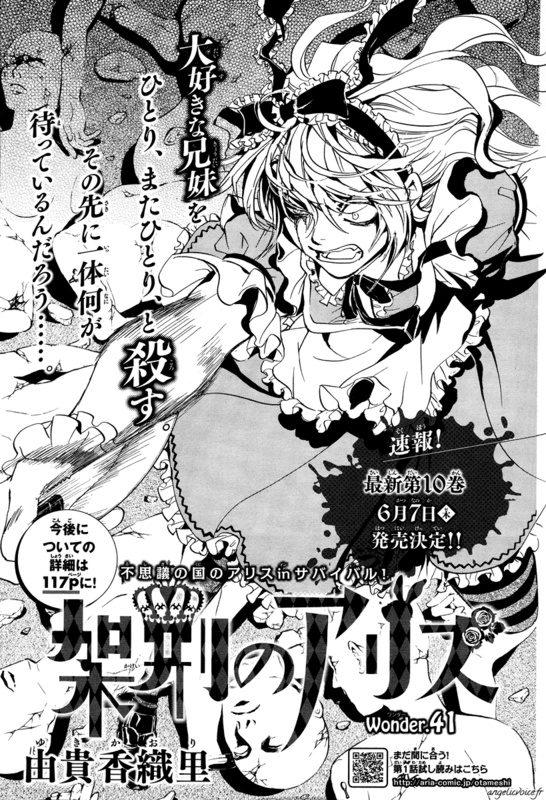 Thus, the next chapter of Alice (#42) will be out on July 17 in the magazine Shônen Magazine Edge #8 and on Palcy. 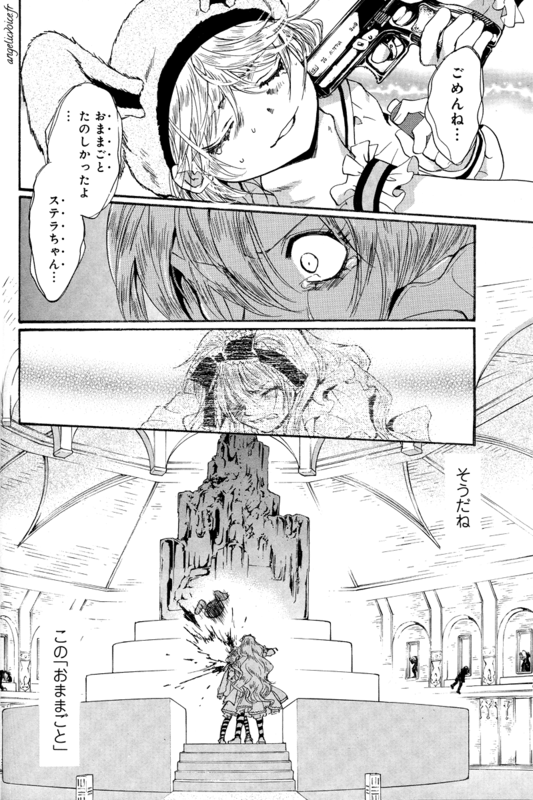 Also, first chapters are readable online on the site Pixiv Comic.